A free science library and personal learning tool brought to you by Nature Publishing Group, the world's leading publisher of science. Scitable currently concentrates on genetics, the study of evolution, variation, and the rich complexity of living organisms. 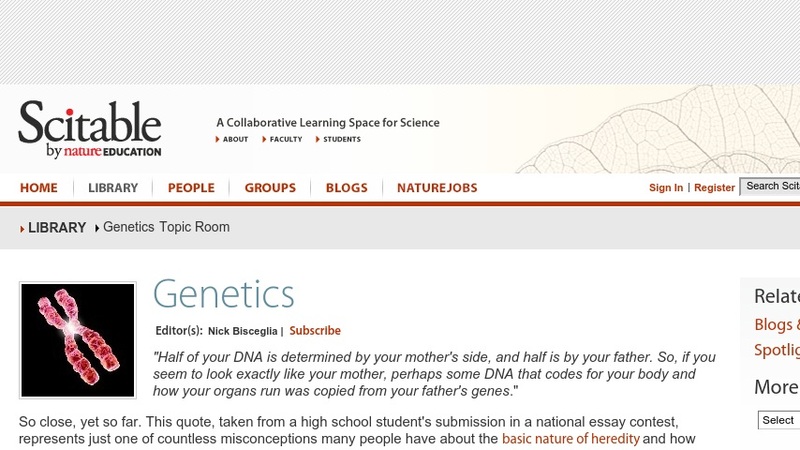 As you cultivate your understanding of modern genetics on Scitable, you will explore not only what we know about genetics and the ways it impacts our society, but also the data and evidence that supports our knowledge.